HomeCome Celebrate the Grand Opening of the Newest Miniature Golf in Pigeon Forge at the Crave Golf Club! The Crave Golf Club’s ribbon cutting ceremony will take place on Wednesday, October 4, 2017, at 10 AM. After the ceremony, the 18,500 square foot facility will open to the public where you can be the first to play the 38 sweet-themed holes of miniature golf! The double decker indoor and outdoor courses will both be available where you can enjoy playing indoors, on a hilltop and even on the rooftop! The Crave Golf Club is a $7 million recreational destination offering the most unique miniature golf in Pigeon Forge! Each of the holes is themed to lollipops, ice cream cones and other sweet treats where you can challenge your family and friends to a fun mini-golf tournament! For a different spin on the action, the owners of the Crave Golf Club have created a new way to play with spinners at each of the holes. This gives the players an option to add an extra level of risk and reward to each round, not to mention surprises around every turn! If playing miniature golf around all the sweet-themed elements and props is making you hungry, you are in luck! The Crave Golf Club has been designed to satisfy every craving with the next level in dessert-based dining. Guests can choose from one of several snack stops, including a candy store of course! Another delicious option is the milkshake bar where you can choose from a wide variety of options to create the milkshake of your dreams! The Crave Golf Club is the only course in town where you can enjoy snacks, treats and drinks while you play mini-golf! 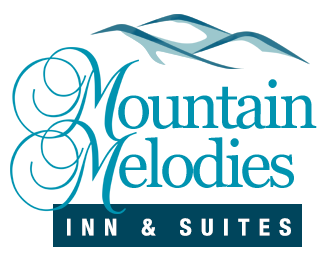 If you are looking for the best place in town to stay near the Crave Golf Club and all of the other great attractions of Pigeon Forge, look no further than Mountain Melodies! Our affordable hotel is situated directly on the Pigeon Forge Parkway so that you can easily access all area shows, restaurants, shops and attractions. While staying with us, enjoy a complimentary breakfast to get your day off to a perfect start. If you are looking for a romantic getaway, we have rooms with Jacuzzi tubs and fireplaces that you will love! Check out all of our hotel rooms in Pigeon Forge today to stay close to miniature golf in Pigeon Forge and other fun activities! We look forward to seeing you soon at Mountain Melodies!